Restored from a pa license suspension saving 6 years of suspension. We helped this gentleman by saving him over 6 years of suspension time! He was suspended with a restoration date of 10/26/2016, and after coming in to see us in October of 2010, we were able to have him driving again in less than a week. 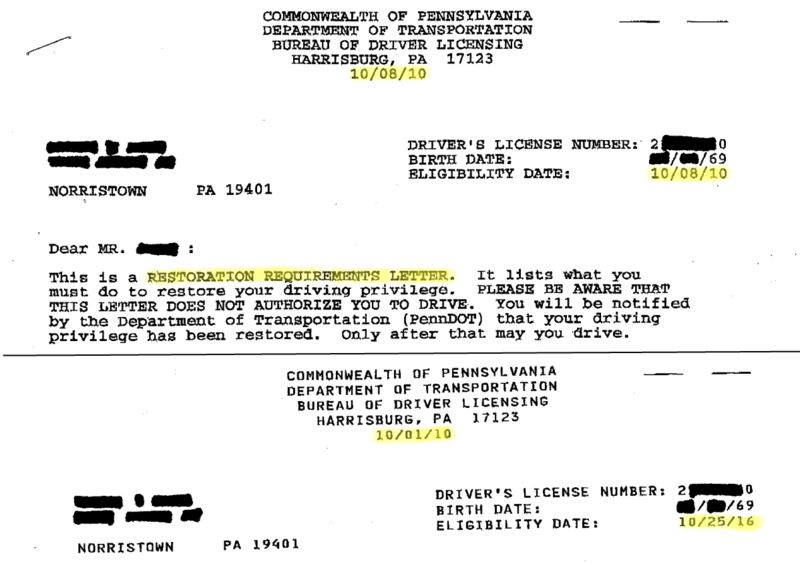 Even after being told by PennDOT and other state representatives “nothing can be done”, our expertise got him driving again quickly and legally! Please see the Restoration Requirements Letters below. Please give License Restoration Services Inc. a call if you have questions about how we can help get you driving again.